All the important species and architecturally common dimensions from the mid-Victorian period up to the second World War. Quercus Robur, ever popular and widely used from 1900 to 1935. Usually in herringbone, sometimes with brickwork borders. Tectona Grandis, beautiful golden brown with built in resistance to distressing via a natural oiliness, our favourite timber. 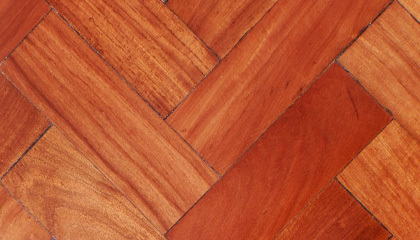 Clorophora Excelsa, similar properties to Teak, but a darker reddish brown colour. Very hard wearing. Pinus Palustris, a very heavy resinous pine typically Victorian and hard wearing. Usually quite a large dimensions. 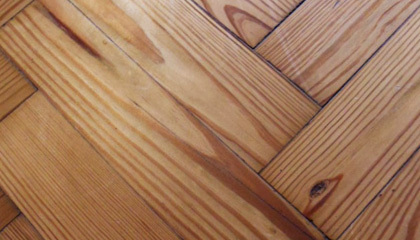 Entandrophragma Cylindricum, colours from red to yellow, found extensively in post war properties, a classic flooring. Fagus Sylvatica, light creamy coloured timber with minimal grain patterns, a good light neutral fresh backdrop. Baikiaea Pluriguga, often known as "plantation teak" the colour is crimson red and was highly prized in the 1930s – stunning. Pseudotsuga Menziesii, prolifically used in the 1920s and 30s tends to be very finely straight grained, high grade and sophisticated. 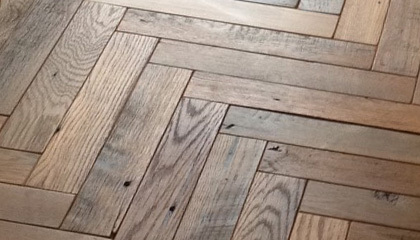 Typically French in style we can replicate these mitred end floors from a variety of reclaimed stock. Larger than common architectural format blocks, we can cut these to order from a variety of reclaimed timbers. 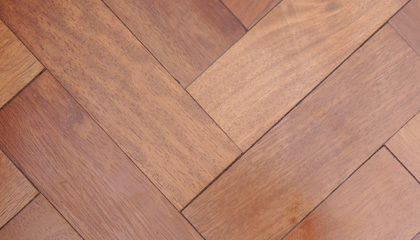 We are able to supply an extensive range of traditional parquets. 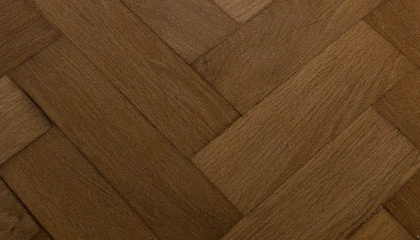 The most common types of timber used for parquet flooring are of Oak and Pine but we can provide a wide variety of exotic parquet flooring blocks. 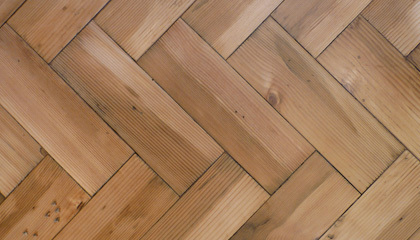 Typically associated with Victorian and Edwardian properties, and 1920s and 1930s, woodblock or parquet flooring is usually laid in a classic herringbone pattern but other arrangements can be also be equally as effective. 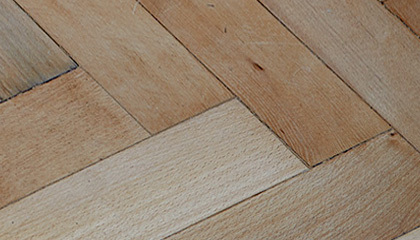 Our wide range of parquet flooring lends itself to period restorations and contemporary installations alike. 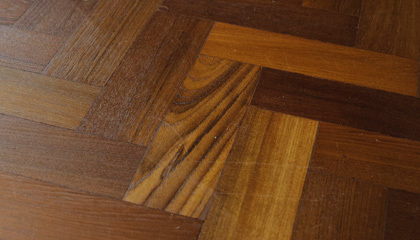 Parquet flooring is labour intensive to fit and therefore it is not uncommon for installation fees to outweigh the cost of the parquet flooring itself. 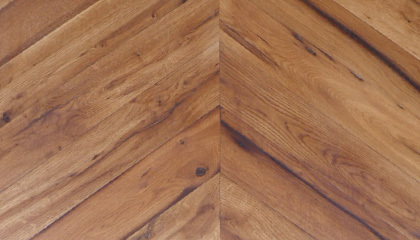 We always recommend that an experienced installer is used, who will use their skills to provide you with a truly amazing floor. We stock most of the common timber types, grades, and architecturally common dimensions of block used from the mid Victorian period right up to the mid 30s. These include English Oak, Douglas Fir, Burmese Teak, Panga Panga, Rhodesian Teak, Pitch Pine, Beech, Iroko, Muhuhu and others. 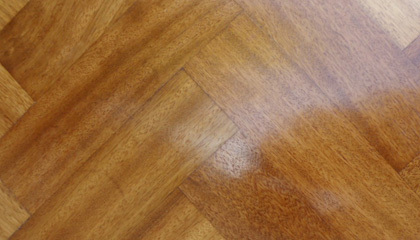 We supply small quantities for patching up to full replacement floors.